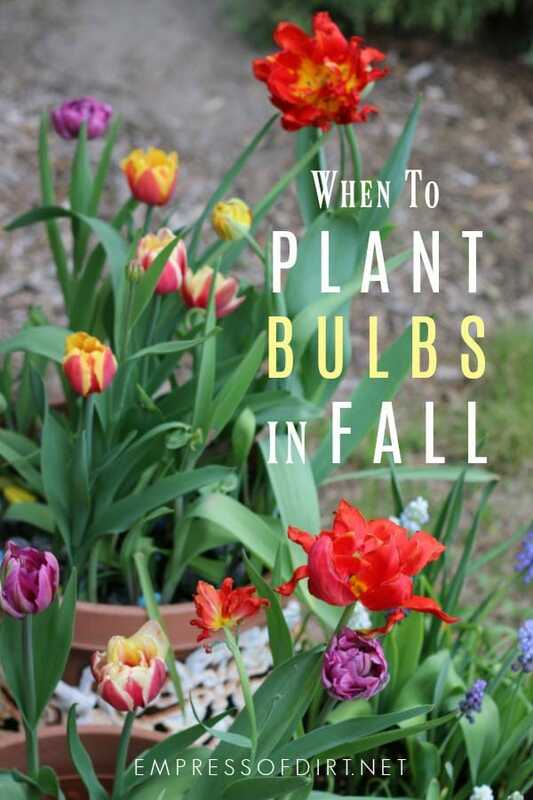 If you want to know the best time to plant bulbs in fall, nature provides many signs and signals. As fall transitions into winter, there are many seasonal changes that tell us the time is right. If you’re new to this, How to Grow Bulbs for Beginners covers all the basics for how to actually plant flowering bulbs. You may not know phenology by name, but we all notice it in varying degrees. There are good phenology videos and examples here. The dictionary definition is, the study of cyclic and seasonal natural phenomena, especially in relation to climate and plant and animal life, such as bird migration or plant flowering. In plain but poetic language, we might call it the symphony of life: the relationship between all living things, and how they respond and change to weather and seasons. It can be as simple as tree leaves opening in spring as the amount of sunlight increases and the earth warms—just in time to provide cover for nesting birds needing to shield their young from predators. It’s how migrations of butterflies arrive at their travel destinations just as their food sources become available. It’s how dandelions and alliums bloom just as bees come out their winter slumbers. How frogs sunbathe beside a pond on days where their favourite insects will be flying by. There are millions and millions of examples of this. It’s just how life on earth works, and, for those of us who love nature, it’s both intriguing and informative to observe. Long before we had garden how-to resources, it was these cues from nature that helped guide growing decisions. And, once you spend a few years enthralled in the world of growing, you may find, like I have, that there’s a greater awareness of and reliance on these basic, natural guides. Consistent soil temperatures (measured 4-inches below the surface) of 50-55°F (10-13°C). Well-draining soil | Bulbs may rot in damp conditions. Sunny location | Most bulbs like 5-6 hours of sun a day during the growing season, but there are exceptions (read your plant labels). NEW! Click play to hear When is it Too Late to Plant Bulbs? If you have an Amazon Alexa device, you can enable our Flash Briefing to hear new stories every week. I’m sure you can also think of many ways we also adapt at this time of year as temperatures cool and we spend more time indoors. All these are signs that winter is coming but it’s not here yet. You can still get a shovel in the ground and we’re right in between no mittens and mitten time. It’s the coolness of winter that triggers future blooming in bulbs. For most flowering bulbs, a cool, dormant period (35-45°F or 2-8°C) for several months does the trick. Careful with fertilizers | Excess fertilizer, particularly during and after flowering, can cause fusarium bulb rot. After flowering, allow the foliage to mature naturally. These leaves provide the energy for next year’s blooms. This means you must let them brown and wither on their schedule, not yours. Daffodils and frittillaria are the two types of bulbs that have a scent that squirrels do not like. 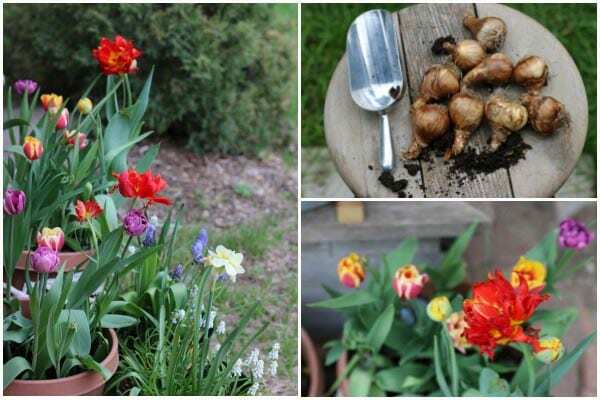 Mix them into your plantings to make things less desirable to these bulb thieves.